With M&S already launching their Christmas advert and John Lewis’ seemingly just around the corner, here at Cubbies we thought what better time to launch our Christmas collection! It is filled with 13 cracking Christmas gift ideas for Children, including nine fantastically festive Christmas Cubbies and four characterised Christmas stockings – Each of which can be customised to add your own personal touch and message. So which personalised Christmas teddies has Santa brought from the North Pole this Christmas? Since the start of this year, Santa and his little helpers (our in-house creative team) have worked long and hard designing new personalised teddy bears and in particular, creating eye-catching new designs for Christmas 2017. 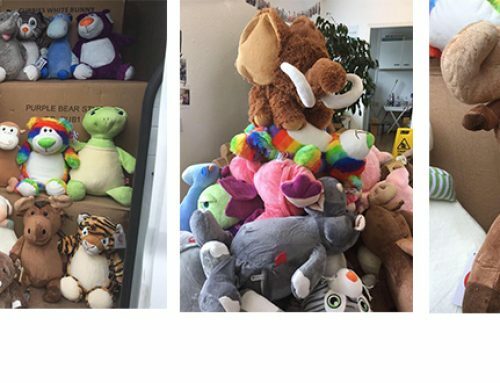 They wanted to spark children’s imaginations and make these seasonal gifts light up the faces of babies and kids all around the world! It took some time to get them to the digital shelves of our website, but Santa and the team have produced some wonderful teddies for you to feast your eyes on – and what better way to start than with one of Santa’s real little helpers – Tinsel Toes the personalised Christmas elf teddy. 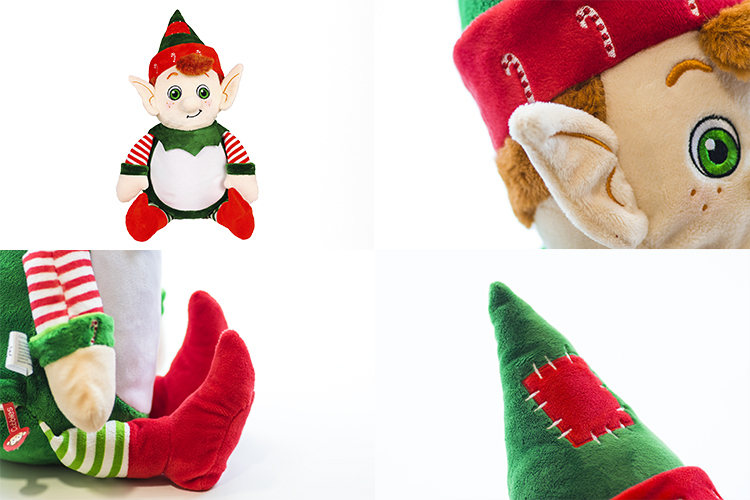 As you can see from the pictures below, Tinsel Toes has all the characteristics of a typical elf, with pointy ears and sabaton slippers – but like with all Cubbies teddies, it has its very own unique creative twist. For this 2017 design, we’ve added additional details including candy canes around the hat and sleeves as well as a patch on its pointy hat – All of which are aimed to bring our Christmas teddies to life and be more than just a gift this Christmas. Tinsel Toes is a favourite within our company and from the images above it is easy to see why! Next on our list are two of my favourites – Dr Diddlington the personalised Christmas snowman teddy and Dodger, the personalised gingerbread man teddy. These super cuddly and delightful Christmas teddies are the perfect gift to give for anyone who has a little cheeky chap in their life. Their cheeky facial expressions help to create a unique character within each and their additional detailing makes these Cubbies more than just a teddy! We are expecting a busy Christmas here at Cubbies, so we thought we would help Santa out by bringing along some of Rudolf’s best friends for Christmas 2017. Introducing Eric, Sprinkles, Blue Cupcake and Pink Cupcake – Four unique reindeer teddy bears, ready for you to choose your favourite and personalise how you like! Each personalised Christmas reindeer teddy has its own distinctive festive design. From the colourful Blue Cupcake and his sister Pink Cupcake, to Sprinkles the tartan reindeer, to the most classic of them all – Eric the personalised Christmas reindeer teddy. If you of reindeers at Christmas, then you’ll love our selection at Cubbies. Christmas 2017 promises to be a good one. Make it even more special with one of our personalised Christmas Cubbies. Aside from the Christmas teddies already mentioned, we have a wide selection that we simply could not fit on to our list today. But as long as your child hasn’t ended up on the ‘naughty list’ be sure to treat them this year and take a look at our full collection of personalised Christmas teddy bears as you can find them all on our website. Our next blog post will explore our personalised Christmas stockings, so check back in the next week to see the creative thinking behind these loveable gift holders. *Mainland Britain. Free shipping in the rest of the UK on orders over £350. Order totals exclude VAT. Mainland Britain includes England, Wales, and Scotland excluding the adjacent islands governed from the mainland. HAVE YOU SEEN OUR FREE MARKETING RESOURCES YET? We have no minimum order and a turnaround time of JUST 2 days.